industry experts New England hearing loop. With their permission we are pleased to share the works of two leading hearing loop experts. Dr. David G. Myers, Professor of Psychology, Hope College Social psychologist David Myers is a communicator of psychological science to college students and the general public. His scientific writings, supported by National Science Foundation grants and fellowships, have appeared in three dozen academic periodicals, including Science, the American Scientist, the American Psychologist, and Psychological Science. We support our community in raising hearing loop awareness. 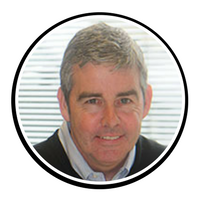 Our experts, Catherine Shanahan and Shaun Crossen are sought after thought leaders in hearing loops, presenting at many local, regional and national hearing loss events. If you would like one of them to speak at your next event, contact us at 800 –786-1556. 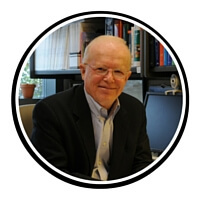 His research and writings have been recognized by the Gordon Allport Prize, by an “honored scientist” award from the Federation of Associations in the Brain and Behavioral Sciences, by the Award for Distinguished Service on Behalf of Personality-Social Psychology, and by three honorary doctorates. In recognition of his efforts to transform the way America provides assistive listening for people with hearing loss, he received “the 2011 American Academy of Audiology Presidential Award,” the Walter T. Ridder Award from the Hearing Loss Association of America, and Oticon’s 2013 hearing Advocacy Award. In 2013 he was appointed to represent Americans with hearing loss on the Advisory Council of the National Institute on Deafness and Other Communications Disorders. As a person who lives with hearing loss, and as the child of a mother who migrated from hard of hearing to complete deafness, David is committed to supporting and giving voice to the 36 million Americans who are invisibly challenged by hearing loss. A Technological Godsend to Counter Hearing Loss: The ‘hearing loop’ is a remarkable advance, but all too hard to find in the U.S. From the Wall Street Journal, August 28, 2015. Health & Technology Matters.Quiet World: Living with Hearing Loss (Yale University Press, 2000) is a journal of his experiences with hearing loss, interspersed with information about the psychology of hearing and new hearing technologies. Juliette Sterkens, AuD recently retired from her private audiology practice in Oshkosh, WI to volunteer as the National Hearing Loop Advocate for the Hearing Loss Association of America. In this capacity she presents at professional conferences and consumer events on the benefits and the use of hearing aids and hearing loops. Her efforts have leveraged over 300 induction hearing loops in Wisconsin and many more beyond. Dr. Sterkens holds a degree in speech, language pathology and audiometry from the Hogeschool in Hoensbroeck, the Netherlands, a Master’s Degree in Audiology from University of Wisconsin Oshkosh and a Doctor of Audiology degree from Arizona School of Health Sciences. For her efforts she has received several awards including the Wisconsin Audiologist of the Year, the American Academy of Audiology Presidential Award, the Humanitarian of the Year Award from the Arizona School of Health Sciences and the Larry Mauldin Award from Beltone which is part of the GN ReSound group. 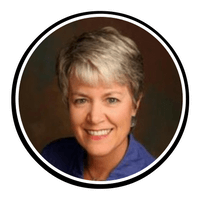 She is the creator of Fox Valley Hearing Loop, which is an informational website for consumers, AV specialists and hearing care professionals.